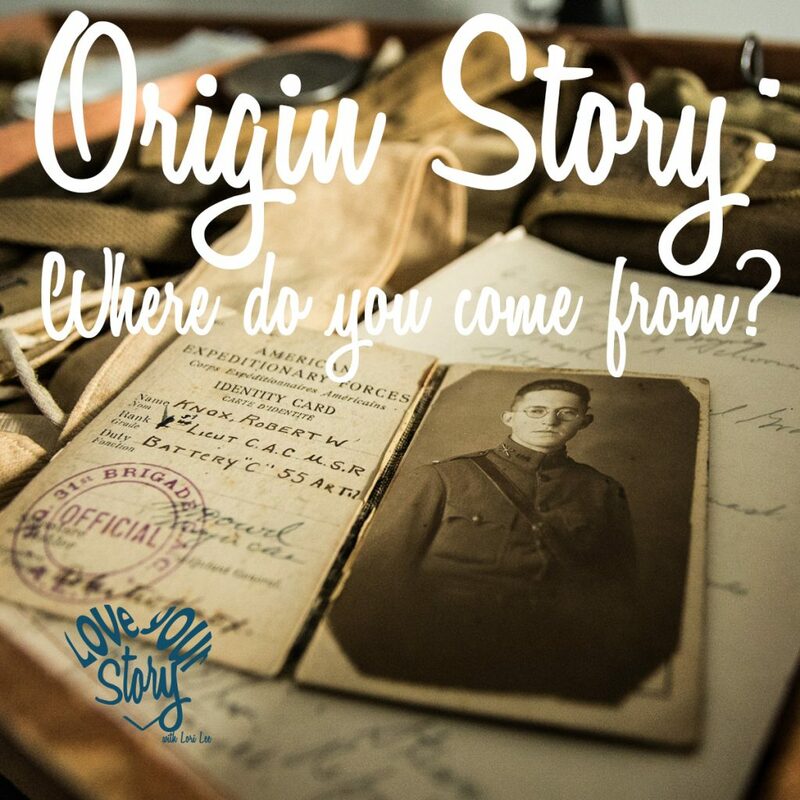 Episode 90 Your Origin Story: Where are you from? I will add that sometimes it’s focused on what led you to a certain place – the origin of the journey. Sometimes it’s about your heritage – where you come from and how those family lines help define who you are and what you stand for. Why does an origin story matter? Stay tuned for a story and discussion on this very topic. So, why does an origin story matter? It basically boils down to helping people understand you or your idea, and story is ideal for this. Have you ever wanted someone to understand where a concept came from – like, for me, I may want to share the story of how Love Your Story was developed – Love Your Story definitely has an origin story (which BTW you can watch a video of that on the website at loveyourstorypodcast.com); or you’d really like to share with someone the story of where YOU come from so they can understand you more completely – seeking to connect with another human. There was an MBA student in the US on scholarship. Now he’s not just someone who needs the job, he’s got depth and drive. Now you can see that he is there because this is an expression of his identity. This is who he is. In our personal lives, our origin stories may be useful for connecting with others, but they may also be most important to ourselves. Will Schaub, was born in Saigon, Vietnam during the Vietnam War. His mother is Vietnamese and his father is from Kansas City, MO. He has 3 brothers and 1 sister and they came to the US in 1971. His father dies shortly after they arrive and what ensues after as he watches the struggles of his mother through his childhood creates an origin story has helped shape his responses to his own life journey. Listen to the podcast to hear Will tell his story. Spiderman’s origin story is based in receiving his powers from a scientific accident. Batman’s origin story is based in the death of his parents and how this shapes his choices and the trajectory of his life. Wonder Woman’s origin story is one of being raised by all-female Amazonian warriors with a sense of responsibility to the world. Superhero origin stories are fun to look at and they ALWAYS play the major role in the character and their superhero path. As do the stories of our pasts, create for us the forward projection of our lives. I’m going to throw out an idea. As you consider your origin story this week, consider if it has held you back or helped you to live to your greatest potential. I throw this out for a little brain time because we have told our life stories, through our perception and our assumptions, and our lenses sooo many times that, of course, we know them forward and backward and they are fact. But this is not true. They are not fact, they are events we’ve interpreted in a certain way, and if that interpretation has added to you making choices that created a small life for you, or a scared life, or an unworthy life, then revisiting those stories and reframing them, considering how you can change your assumptions and shift into stories that create beautiful possibility and celebrate learning and individuality, well….then you’re on to something. Will’s story is based in watching his mother struggle, make hard choices, and stretch beyond what she thought she could do. She set an example that helped to propel him when he hit hard times. That seems like an origin story that provided inspiration and examples. Only Will knows if there are other aspects of the story that he could shift. The Love Your Story origin story came from a place of not loving my story and the search to figure out how. That’s a rags to riches —so to speak— story that illustrates taking a weak space and creating good from it. Your challenge this week is to consider your own origin story. First, what is it? Second, does it support your best life moving forward? Third, what other angles could you tell this story from? Fourth, Does it need a reframe, and if so, you can jump on the love your story podcast website and sign up for the reframing course. Love Your Story is here to provide tools to help you love your story and this is one that is available to you. Have a great week creating your best life story and I’ll see you back here next week. So Good! Thanks for this inspiration!